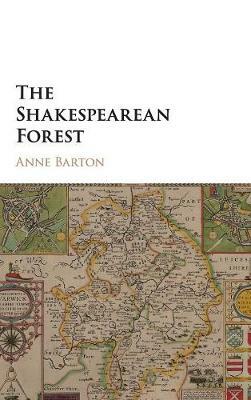 The Shakespearean Forest, Anne Barton's final book, uncovers the pervasive presence of woodland in early modern drama, revealing its persistent imaginative power. The collection is representative of the startling breadth of Barton's scholarship: ranging across plays by Shakespeare (including Titus Andronicus, As You Like It, Macbeth, The Two Gentlemen of Verona and Timon of Athens) and his contemporaries (including Jonson, Dekker, Lyly, Massinger and Greene), it also considers court pageants, treatises on forestry and chronicle history. Barton's incisive literary analysis characteristically pays careful attention to the practicalities of performance, and is supplemented by numerous illustrations and a bibliographical essay exploring recent scholarship in the field. Prepared for publication by Hester Lees-Jeffries, featuring a Foreword by Adrian Poole and an Afterword by Peter Holland, the book explores the forest as a source of cultural and psychological fascination, embracing and illuminating its mysteriousness.